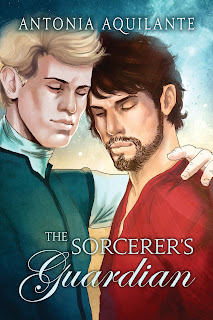 Today I welcome Antonia Aquilante to the blog to answer a few questions for Interview³ and to share a little about her latest release, The Sorcerer's Guardian. I’ve been coming up with stories for as long as I can remember, long before I knew how to write them down. In a writing class when I was twelve, I turned in a sixty page murder mystery for a short story assignment and decided that I would be a published author when I grew up. I am terrible at thinking up titles, so much so that my mom thought of the title for my first book when I couldn’t (Thanks, Mom!). Nora Roberts because she wrote the first romance I ever read and because of her attitude toward writing. When writing is going bad, I always think about what she said: “You can fix anything but a blank page.” And I keep writing. Tamora Pierce because her Song of the Lioness Quartet grabbed me when I was eleven and I’ve been making up my own fantasy worlds ever since. And JK Rowling because of her amazing worldbuilding and characters that people are passionate about. I can never answer this question—there are too many books that I love, and I can never choose! How about 3 of my favorites from last year? (Still not an easy choice!) A Gentleman’s Position by KJ Charles, Hexbreaker by Jordan L Hawk, and Strong Signal by Megan Erickson and Santino Hassell. My desk and my couch are where I write most often. I got a lot written out when I was on vacation at the beach in South Carolina last year. I wrote out on the balcony, and it was so nice. I wish I could write there all the time! I’m still a pretty new author, so I probably want everything! There are absolutely publishers I dream of having contracts with. I would love to see my books out in audio and translated into other languages. And I really need to learn to write faster so I can get more of my ideas onto the page. Learn your craft, and keep learning as you keep writing. Read everything (books inspire your creativity and help you learn your craft). Don’t give up! I have two wips I want to finish—one is a contemporary with slight paranormal elements that I’ve been writing on and on for several months and the other is a fantasy romance that I’ve just started. It’s completely separate from the world of my Chronicles of Tournai series, and I’m excited to get into it. And the third thing is to go back to Tournai and write the sixth book in the series. 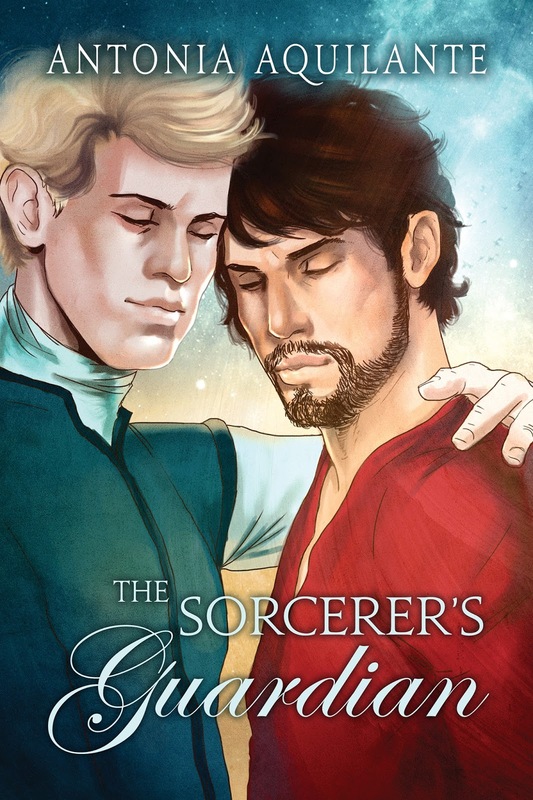 My latest release is The Sorcerer’s Guardian. It’s fantasy romance and the fourth book in the Chronicles of Tournai series, though all the books in the series have a standalone plot and romance (with HEA!) so you don’t have to read in order. The Sorcerer’s Guardian is the story of Savarin, the most powerful sorcerer in Tournai, and Loriot, captain of the royal guard. Tournai’s magical protections are weakening, and Savarin is tasked with figuring out why. Loriot is tasked with protecting him while he does. They clash and fight their attraction and ultimately fall in love, all while figuring out to protect their country. Comment on this post to enter the draw to win a Chronicles of Tournai tote bag and other swag! Thanks for interviewing me today! You're very welcome, Antonia. All the very best with your writing.